At bluunis, we truly listen and understand your needs. We also constantly observe lifestyles and environmental effects which help us to identify the constant change in beauty trends. 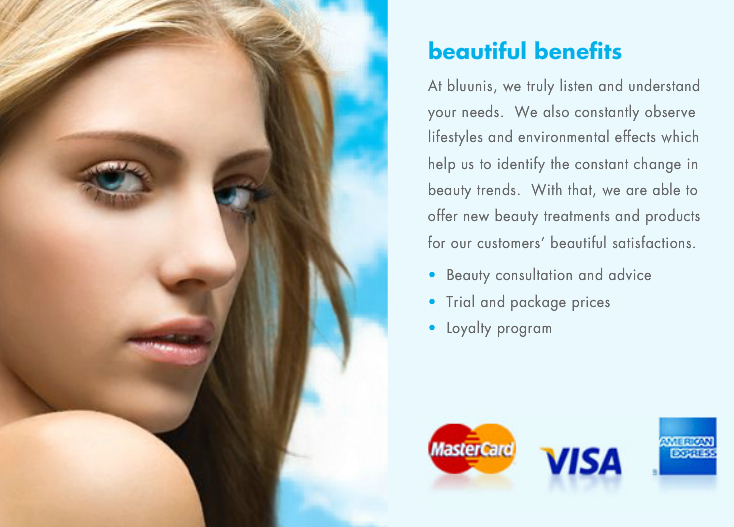 With that, we are able to offer new beauty treatments and products for our customers' beautiful satisfactions. 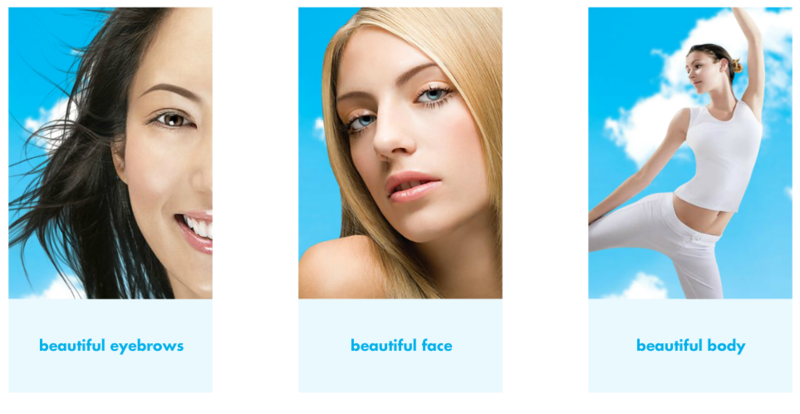 We offer beauty consultation and advice, trial and package prices and loyalty program. 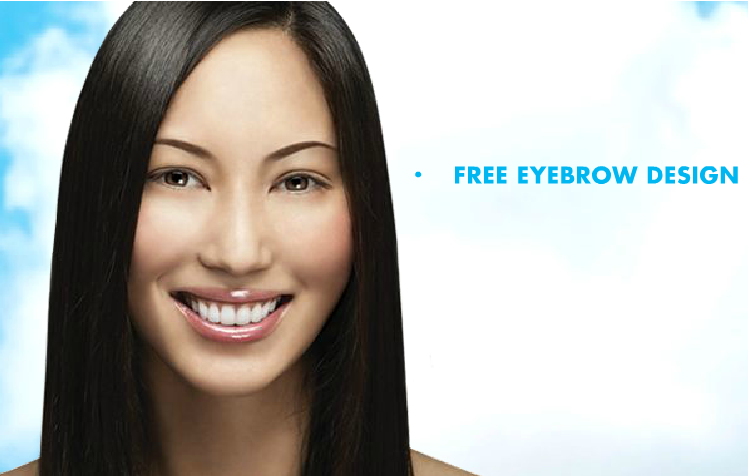 Beautiful eyebrows are exclusively available at bluunis. Brownaissance, an innovative and improved technique from the United States. It looks natural, gentle to the skin, almost painless, lasts longer, suitable for eyebrows & eyeliner and easily refined, removed & modified. With more than 10 years of experience in the beauty industry, bluunis customises face & skin care treatments to meet individual's skin essentials including acne, blackheads & open pores, freckles & pigmentation, ageing & wrinkles, eye bags & dark circles and milia. Free Eyebrow Design ( brownaissance eyebrow embroidery). Visit us now to enjoy the beautiful promotions! Term and condition apply. This place makes me feel very sweet,lady every work there is very friendly and experience about eyebrow.besides that,also have treatment skin and eyebrow.So,I decided to do a monthly skin care!